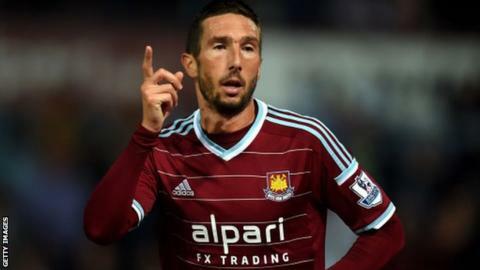 Former West Ham midfielder Morgan Amalfitano has joined Lille on a free transfer on a two-and-a-half year deal. Amalfitano spent 13 months at Upton Park before leaving in October after falling out with manager Slaven Bilic. The 30-year-old also spent the 2013-14 season on loan at West Brom when he was at Marseille. Lille are 11th in the Ligue 1 table with 24 points from 19 games, 27 points behind runaway leaders Paris St-Germain. Amalfitano is in line to make his debut for his new club at home to fifth-placed Nice on Sunday. He joined West Ham from Marseille in September 2014 and scored three times in 24 Premier League appearances.